Bringing history back into your life! Emporium @ the Carpenters House specialise in antique furniture. Their range includes Victorian, Edwardian and Georgian eras. The company also sells retro and vintage furniture and artefacts. The showroom is located above the Carpenters House workshop at the rear of Church Street and is located in one of the oldest buildings in Coxhoe. Antiques are displayed in a fantastic vintage setting. ‘We are passionate about quality and keeping the heritage of antiques’. 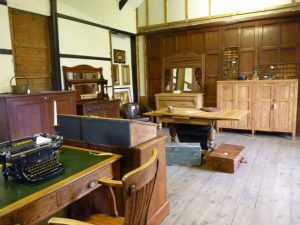 Why not call in, experience the history and choose from a fantastic range of antiques and much more.